Teams will be playing in a double round robin format with the finals played in the final week. Matches throughout the season are timed to 1 hour each however for the 1st vs 2nd match in the finals this match will be UNTIMED and played to completion. All players in the finals MUST have played on the team for at least 50% of the games over the season. How teams are decided to make the playoffs and finals are through the amount of points earned over the season. In the event of a tie the head-to-head score will be taken into account. In the event of a tie the overall points won and points lost ratio over the season will be taken into account. All matches will be a best of 3 sets with the 3rd set to 15 points. If time runs out the team with more points at that point in time will win the set. Note for the finals week the 1st vs 2nd match will be an untimed match and played to completion. 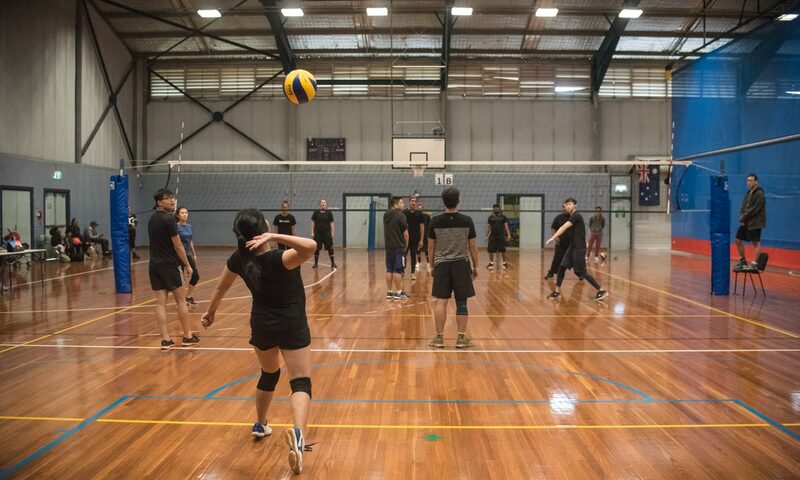 If a team does not show after 20 minutes they forfeit the first set; after 30 minutes they forfeit the match and will be fined $70 for court fees and inconvenience to the other team. Until paid the team risk not playing any future matches. Wins are 3 points, Draws are 2 points and Losses are 1 point. Teams will also be required to do duty in the season. This involves being a referee team for the match before or after your game. This includes 1x Primary referee, 1x Secondary referee, 1x Scorekeeper and 2x linesman (total of 5). If your team is new to duty let us know and we will give a rundown for your team. Please note it is the team captains responsibility to ensure the team is on time for game and duty. If running late or unable to make it please let me know through an email or a call at least 3 days in advance. Team’s that do not turn up for duty before games start without notice will be fined $70 for court fees and inconvenience to the other team. Until paid the team risk not playing any future matches. If a team is down players for a week I may be able to organise a fill in player for that week to play on your team with a minimum of 48 hours notice. You may also ask players from other teams of the same division to substitute. Players from different divisions cannot substitute each other. Team’s that do not show up on court with at least 5 players will be fined $70 for court fees and inconvenience to the other team. Until paid the team risk not playing any future matches.